From mealtime to travel time, your baby will be utterly captivated by Baby Einstein’s Sticky Spinner toy. 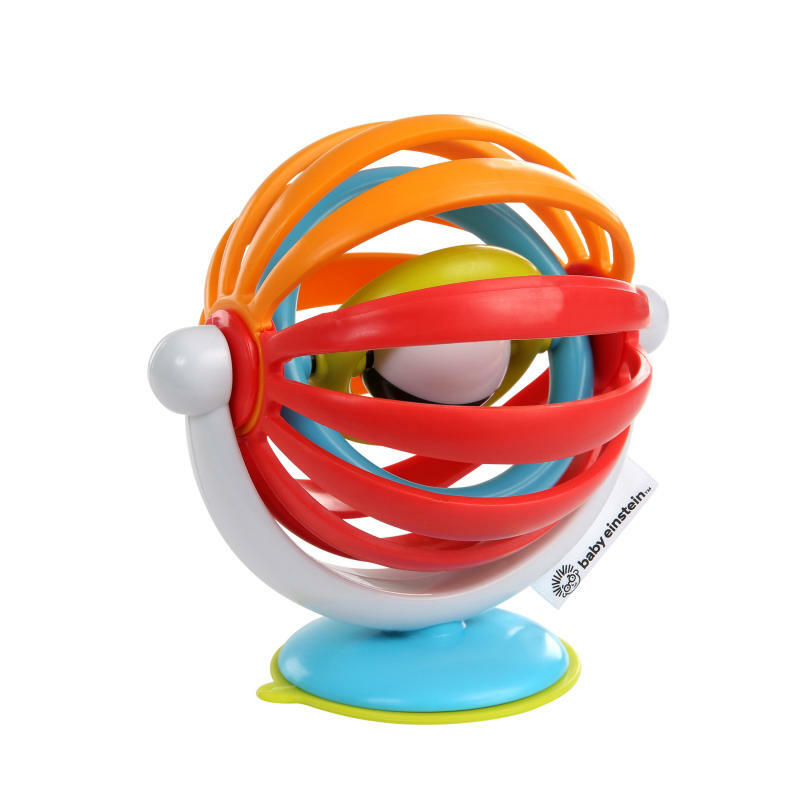 As this table toy spins and swirls, the brightly colored loops will whip up a visually stimulating experience. See baby focus as he curiously watches the inner-ball and loops spin in opposite directions. Those colorful bands are fun to grab and spin, which will help encourage hand-eye coordination and fine motor skills. The powerful suction cup base keeps the spinner in place whenever you need to entertain your squirmy baby. Use it as a high chair toy, or toss it in the diaper bag to have frustration-free play on hand. Your baby’s fascinated little fingers will keep this world of color going round and round! Dimension (in) 4" x 4.8" x 5"